Nearly all waste management experts agree that the linear make-use-dispose model that has formed the backbone of the industry for decades must be replaced once and for all. The current trends all point towards a “circular” system instead. In the future, waste disposal technology will be geared towards extracting raw materials from the waste stream to return them to manufacturers. This not only reduces the footprint of the waste disposal process but also redirects resources back into the system at an earlier point than is possible now. The goods of today will be the raw materials of tomorrow. Making major changes to the way that waste companies operate costs money, and those companies still need to find a way to adapt while still maintaining a viable business model. One way to offset these financial concerns is to look at turning trash into energy. Market experts believe the global market for turning rubbish into power is expected to hit nearly $40 billion by 2020. While development in this area has primarily focused on thermal technologies – incinerating trash, in other words – evidence suggests that biotechnology might be the next step. Many new waste management firms are using 100% biodegradable feedstock in concert with advanced biotechnological techniques to turn rubbish into power. These techniques include a process to convert food waste into biofuel using advanced fermentation methods, and to convert cooking oils into biodiesel through the use of enzymes. As consumer products grow smaller and more technologically advanced, the challenge of recycling them becomes more and more pronounced. As a result, many materials are left behind by the recycling process because current methods are unable to handle them. Currently, manufacturers need to go outside of the recycling chain to obtain new raw materials instead of reusing waste. The result is an increased demand for raw materials, as well as an excess of waste which could be recycled, and which soon will be. Of course, doing so is easier said than done. 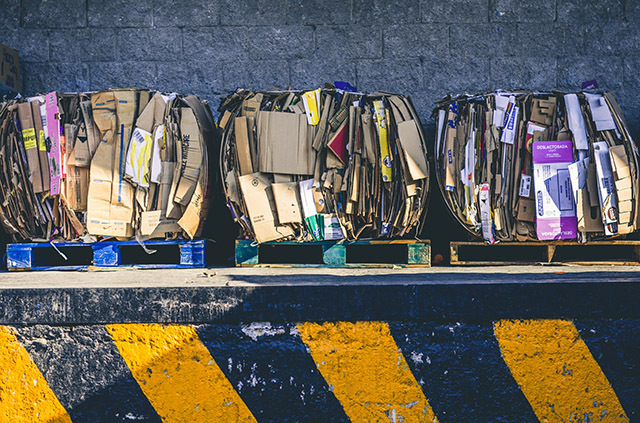 Waste management companies will need to make a concerted effort to address specific gaps in these resource loops, ranging from increased sorting and separating technology to more efficient recycling processes. None of these next-generation solutions will do anyone much good if waste disposal managers are not able to keep their new equipment running smoothly. Luckily, industry leaders in waste disposal technology like Sensa Networks have demonstrated the foresight to tackle these problems head-on. Sensa Networks provides tools that monitor waste management assets and keep track of equipment performance. This makes maintaining waste disposal equipment much simpler; when all of the information on how the machines are performing is tracked remotely and is updated constantly in real time, it’s possible to catch problems before they occur. This makes it possible to consistently service machines before they actually break down, saving time and money. Although experts agree that the waste management industry must change the way it operates, it’s not just the industry that needs to change. Public attitudes towards waste must undergo a radical overhaul as well. Half of the food produced globally ends up in the trash bin, and the United States is one of the most notorious nations with regards to food waste. The solution? Charge consumers a premium for excess food waste. Although the process might sound not only draconian but impossible to enforce, trial programs in developed nations such as South Korea have shown promising results. How would such a process work? Fairly simply, as it turns out. It requires trash bins to be outfitted with remote sensors. Residents dispose of their trash in bins with built-in scales and are charged according to how much they produce. The incentive to produce less waste is obvious; the less you produce, the less you pay to have it removed. Experts repeatedly cite the excesses of retailers in the United States as a source of preventable waste. According to a recent report from Business Insider, less than 9 percent of the plastic used by Americans is recycled. The overwhelming majority ends up sitting in landfills (and sometimes ends up floating around in the ocean). In response, California has instituted a ban on plastic straws, which will go into effect in 2019. The city of Seattle banned single-use straws and utensils in July of this year. Now many large corporations are joining the movement and swearing off the use of various types of plastics. Starbucks, for instance, has vowed to ban plastic straws in all of their stores by 2020, replacing them with optional straws made of new materials, like paper or compostable plastic. While these bans on plastic waste will not solve the problem on their own, they are a step forward. By engaging in smart lobbying efforts and public awareness campaigns, educating the public about more easily recyclable alternatives to conventional plastics, the waste management industry can help reduce the waste footprint of our nation. The world is changing rapidly, and the waste management industry is changing with it. The best way to keep track of these changes is to keep an eye on the companies that leading the way, disrupting the industry by introducing new products and processes. One of the clear industry leaders in this regard is Sensa Networks, which offers solutions that facilitate improvement in efficient waste management. Learn more about Sensa Networks and their commitment to innovation in the waste management industry.